CarGurus has 8,518 nationwide MKZ listings starting at $2,195. A new Hybrid trim complements the traditional plush ride, techno-wizardry, tolerable fuel efficiency, available all-wheel drive, and decent handling that characterize Lincoln’s 2011 MKZ. A notably degraded ride with the available Sport Suspension Package, as well as a disconcerting similarity to Ford’s well-wrought Fusion sedan and a lack of expected refinement may deter a few potential buyers of the 2011 MKZ. All in all, the 2011 MKZ is a decent entry-level luxury sedan, with the new Hybrid trim a potential game-changer. An off-putting reflection of its significantly less costly Fusion stablemate, however, not to mention a bit less overall performance compared with most Japanese and European rivals, will keep it from being a great car. 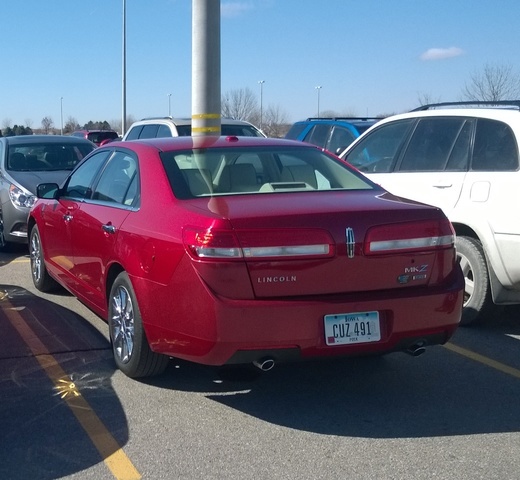 Those in the market for a decent, if not inspired, entry-level luxury sedan could do worse than the 2011 Lincoln MKZ. This five-passenger family-oriented auto comes with a generous number of standard and optional techno-goodies, as well as leather upholstery and generous trunk space. Unfortunately, a distinct resemblance to its Ford Fusion cousin detracts more than a little from the MKZ’s luster. Furthermore, overall refinement suffers a bit compared with much of the competition, though this doesn’t seem to detract much from brand loyalty, upon which Lincoln may be placing an inordinate amount of faith. Finally, there is some difference of opinion as to whether all the standard electronic wizardry is worth the extra cost over an option-heavy Fusion. On a more positive note, the introduction of a Hybrid trim for 2011 ought to gain a few more tire-kickers for this posh sedan. Comfortable, yet tolerably plush and agile, the MKZ, which began life as the Lincoln Zephyr, is available now in two trims, the Base and the front-wheel-drive-only (FWD) Hybrid. With the regularly powered Base MKZ, the standard FWD can be replaced with available all-wheel drive (AWD) for an extra few grand, thus effectively dividing the gas-only Base into a pair of sub-trims. While the regularly powered MKZ is designed to compete with the likes of the Lexus ES 350, Infiniti G37, Hyundai Genesis, BMW 3 Series, Cadillac CTS, and Mercedes-Benz C-Class, the MKZ may lag a tad in overall elan when compared to some, while being outclassed value-wise by others. A cavernous trunk that’s able to hold 16.5 cubic feet of luggage, and a typically stable, placid, and quiet ride from the standard suspension may lure a few extra lookers, but most will likely be trading one Lincoln for another. The 2011 MKZ Hybrid, based on early analysis, seems a bit more substantial than, for example, the Lexus HS 250h hybrid, and significantly more economical, not to mention a heck of a lot cheaper, than the BMW ActiveHybrid 750i. Alas, it still looks too much like a Fusion according to most reviewers, and trunk space is limited by the oversize electric motor battery compartment to only 11.8 cubic feet. Only the variable-valve-timed 3.5-liter V6 engine and six-speed auto-manual transmission are offered for the 2011 MKZ Base and AWD. This combo puts out 263 hp at 6,250 rpm and 249 lb-ft of torque at 4,500 rpm. EPA estimates put gas mileage for the FWD trim at a respectable 18/27 mpg, with the AWD Base trim getting an estimated 17/24. The MKZ Base AWD trim, meantime, is managed by a viscous, center-mounted, limited-slip differential. This system ensures power to all four wheels, all the time. Reviewers note significantly less torque steer in the AWD trim on heavy acceleration, while traction is obviously far superior to the FWD Base on slick pavement. For the Hybrid, a variable-valve-timed (VVT) inline four-cylinder (I4) gasoline engine is mated with a 30 kilowatt electric motor for a combined 191 hp and 135 lb-ft of torque. Power is managed by a continuously variable transmission (CVT), and, as is traditional in hybrid systems, regenerative braking helps to recharge the nickel-metal hydride battery. Along with VVT, the Hybrid uses auto-engine stop/start and deceleration fuel cutoff to achieve an estimated 41/36. Virtually all reviews of the MKZ note plenty of passing and merging power from the perky V6. One reviewer claims 0-60 acceleration in 7.2 seconds from the AWD trim; not precisely Lamborghini-esque, but pretty fair for a luxury sedan known more for comfortable cruising than jackrabbit starts. Unfortunately, one glitch noted by several reviewers is a disturbing tendency on the part of the six-speed auto-manual to beat around the bush a little when shifting on hilly roads in full automatic mode. The V6, though whispery at highway speeds, can, according to a number of reviews, be obtrusively noisy when accelerating. Most reviewers, of course, note that the Hybrid trim doesn’t have the pickup of the V6-equiped Base, but readily concede that its hybrid drivetrain is the quietest of the lineup. Most reviews state that the electric buzz on deceleration, common to nearly all hybrid systems, is noticeable but not distracting. The CVT is noted by many reviewers to allow a seamless transition from gasoline to electric power. It is also, however, prone to a slow reaction to throttle input, thus passing and merging on the highway will require some foresight. The 2011 Lincoln MKZ lineup rolls on standard 17-inch alloy wheels and all-season tires that complement its four-wheel independent suspension with short and long arm front suspension setup. This combination gives a staid and comfortable ride according to most reviewers. Harsh pavement is well-tamed, according to most reviewers, resulting in the plush but yawn-inducing ride traditional for a Lincoln. Additionally, many reviews describe little float or wallow, though several do note that opting for the Sport Suspension Package with its 18-inch tires and sport-tuned shocks will give drivers a significantly rougher ride, with only a marginal increase in handling prowess. Note that the Sport Suspension Package is not available with the significantly heavier Hybrid trim. Virtually all reviewers give both the FWD and the AWD MKZ Base high marks for appropriately responsive steering, with front and rear stabilizer bars keeping body-lean in the moderate range when taking tight corners at some speed. Braking, meanwhile, is considered by most reviewers to be adequate, though with some sponginess to the pedal when a bit more than the usual pressure is applied. The Hybrid trim, with its regenerative braking system, will likely take a bit of acclimation to get comfortable with pedal feel. In keeping with its entry-level luxury status, both 2011 Lincoln MKZ trims come loaded with standard state-of-the-art electronics and plush interior appointments. Beginning with premium leather upholstery and multi-level heated, 10-way power-adjustable front bucket seats, the list of creature comforts continues with digital keypad power door locks, remote-operable, one-touch power windows, heated power mirrors, with driver’s side auto-dimming feature, telescoping and tilting steering wheel with mounted audio and cruise controls, front and overhead consoles, Ford’s well-regarded SYNC hands-free audio, communications, and navigation interface, universal remote garage door opener and home security activation, dual-zone climate control, wood, alloy and leather steering wheel, dashboard, and cabin accents, memory for seat and mirror settings for two drivers, a 6-CD changer with nine speakers, satellite radio, Bluetooth communications technology (in combination with the SYNC system), and a USB connection. The list of options for this already well-equipped sedan includes the above-mentioned Sport Suspension Package (except in the Hybrid), THX II Certified audio with 5.1 surround, 14 speakers, and 600 watts of power, touch-screen DVD navigation, a power moonroof, and the Executive Package with additional genuine wood steering wheel, door, and dash inserts, as well as Bridge of Weir leather upholstery. Virtually all reviewers find the MKZ’s cabin to be well-appointed, comfortable, and altogether worthy of the Lincoln name, especially when ordered with the elegant Executive Package. Gauges are noted to be easily readable, controls to be logically placed and eminently accessible, and seats to be accommodating and supportive. A few reviewers, however, did find those same seats a bit flat for long-haul comfort. Most reviewers also found the cabin tolerably quiet and sedate, with wind and road noise, for the most part, dampened to a distant hum. The MKZ Hybrid additionally includes Ford’s “SmartGauge” readouts, including hints for more economic driving blended into the usual dashboard displays. Though the newly minted MyLincoln Touch that replaces most dashboard buttons and switches with touch-screen audio adjustment, vehicle information displays, and climate control systems is standard in, for instance, the 2011 Lincoln MKX crossover, it seems a bit strange that this much-ballyhooed electronic wonder is not, as yet, available in the otherwise techno-savvy MKZ. Traditionally achieving high safety marks, the MKZ for 2011 is equipped to provide optimal passenger protection. Standard safety equipment includes four-wheel disc ABS, traction and stability control, dual front side-mounted airbags, front and rear head airbags, front fog/driving lights, remote anti-theft alarm, rear parking sensors, the highly regarded MyKey speed and audio volume modulation system, SYNC vehicle collision and airbag deployment notification, and a post-collision safety system. Additionally, multi-directional HID headlights are an available safety item with the appropriate option packages. The National Highway Traffic Safety Administration (NHTSA) gives the MKZ its best rating of five stars for front and driver’s side protection, four stars for rear passenger side impact protection, four stars for FWD rollover protection, and five stars for AWD rollover protection in 2010. As well, the 2010/2011 MKZ, including the Hybrid, garners the Insurance Institute for Highway Safety’s (IIHS) highest rating of Good across the board. Though little consumer reaction is available for the 2011 MKZ Base, the mirror-image 2010 trims have garnered a fair share of owner response. Though generally well-regarded, the MKZ has a number of glitches that owners have made public, including its hefty pricetag and the fact that a prop in place of more deserving hood struts seems a bit chintzy for a supposedly high-end luxury sedan. Further complaints that the front headrests are uncomfortably angled and the rear seats are a bit short on legroom will, it seems, dog the 2011 MKZ Base trim. Additionally, more than a few owners question the value of the MKZ when compared to its admittedly less endowed, but essentially identical, Fusion kinsman. On the positive side, owners are happy with the MKZ’s plethora of standard features, its better-than-adequate mileage, and its stable, quiet ride. Additionally, a number of owners laud the standard SYNC system, as well as giving approving nods toward the performance of the pleasantly potent V6 powerplant. Finally, owners are favorably impressed with this luxury-oriented sedan’s well-appointed interior ambiance, especially when opting for the available Executive Package. Obviously, no consumer reviews are yet available for the brand-new Hybrid. What's your take on the 2011 Lincoln MKZ? Have you driven a 2011 Lincoln MKZ? 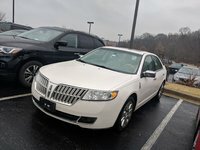 In my 2011 Lincoln mkz is my engine repairable by changing oil and replacing l water pump if water pump went out if there is water in the oil. My 2011 MKX locked me out! How do I get back in? Door code and fob don't work to get me in. Why Would My Windows Roll Down Automatically When I Unlock The Car? I went to unlock my car and the minute I went to open the door all the windows rolled down. 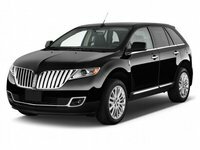 Is it very expensive to get the oil change for a 2011 Lincoln MKZ Is the maintenance expensive?